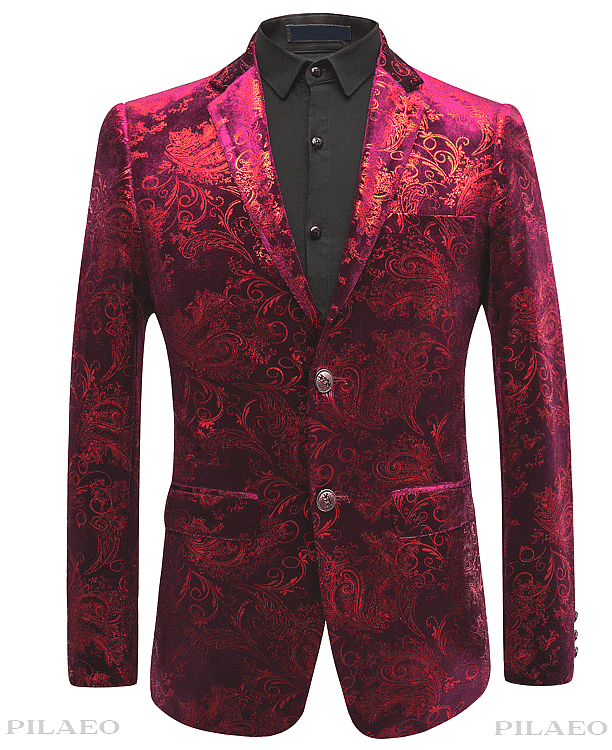 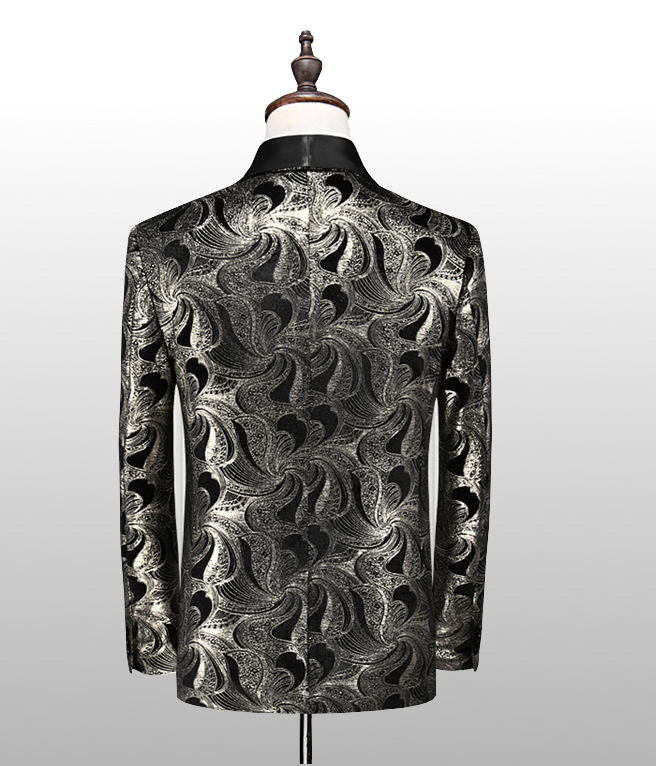 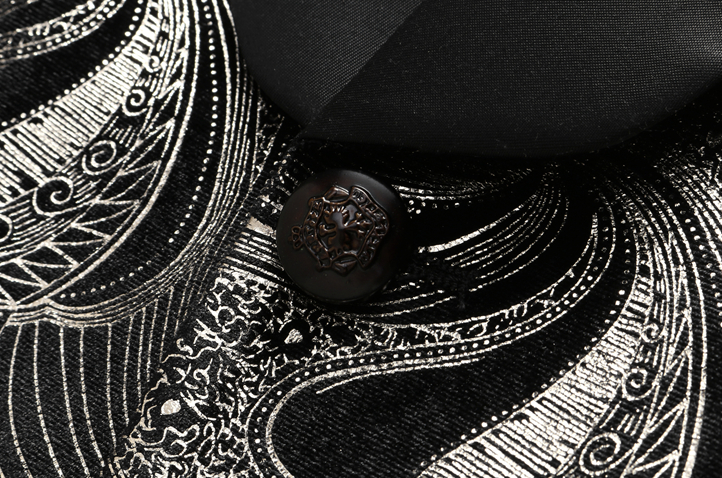 This new creative embroidered tuxedo jacket puts a new spin on style with a wavy, cool design that will make you the most attractive man in the room! 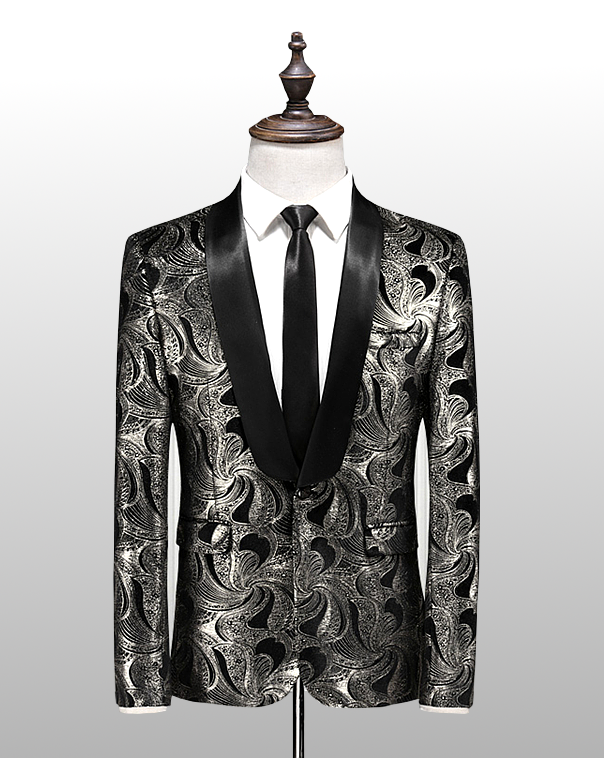 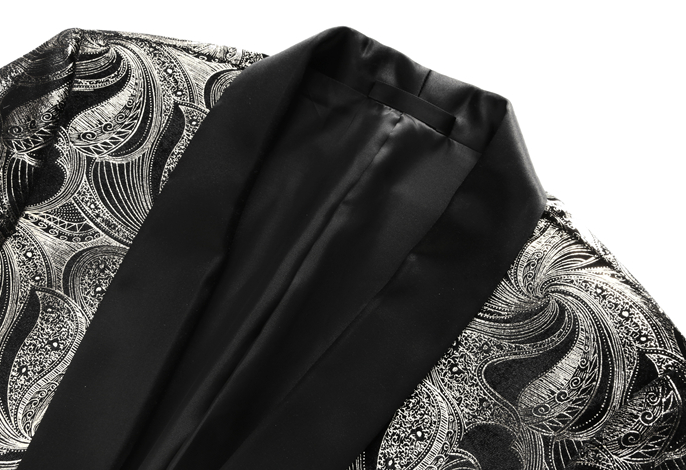 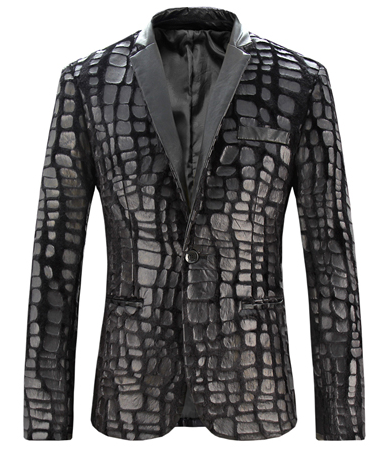 The black lapel tux jacket is luxury all around and modern. 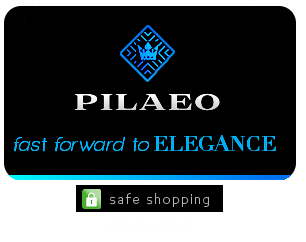 Available in limited supply here at PILAEO.